Simple, effective and finely-tuned. I’d say these are accurate ways to describe ATL based, Distal. After hearing about him through interviewing HxdB (hear the solid Booyant/Amphibian release accompanied by an Archie Pelago remix), I was determined to get him on Disco Droppings. His sound and distinct attitude are something to celebrate, so I’ve set up this lengthy conversation with Michael Rathbun aka Distal, for your reading pleasure. 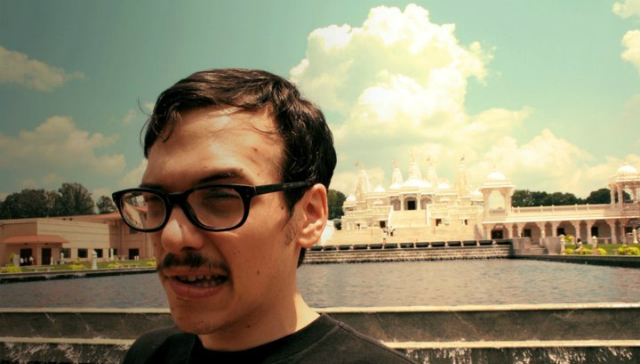 We cover his recent travels, getting accepted into RBMA 2012, several releases from his label, Embassy Recordings, the U.S. internet bills and such. Not discussed, is his ultra fresh album “Civilization” on Tectonic Recordings. Hear a few tracks in this feature, and pick up the full release here. DD Welcome to Disco Droppings Distal! Been looking forward to this. You just got back home from playing some shows yah? DISTAL Yes sir, just did some industry shows with Trouble & Bass and Scion. Other than that just working hard and staying busy, also trying to find some time to relax in between! DD Big congratulations for being accepted into the Red Bull Music Academy. My buddy Kid Smpl also got in. You have a lot of experience as a DJ, producer and label manager. What attracted you to the program? Who do you hope lectures this year? 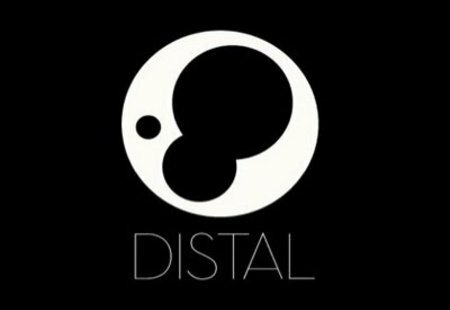 DISTAL Thanks. Yeah I’m always down to learn and grow. It seemed like an amazing experience to take advantage of. Everyone I know that has gone through the program has learned a lot and gone on with their career with great support from Red Bull. It’s a win win to stay creative, active and attentive. I hope they get some old school techno guys to teach this year. I learn a lot from past generations. DD I’ve gathered that you’re really into film and books. What have you been reading/watching lately? How often do these interests bleed into your track names and ideas for songs? DISTAL Man yeah I love watching film and reading. I watch more film than I do read, but I’m always immersed in one or the other. And yeah I would say in an unrelated way the two worlds do connect from time to time. I just watched La Haine … an amazing French film from the mid 90’s with an early Vincent Cassel. It’s about violence, class warfare and gun control in France. Such an amazing movie. Films have a different emotional response from me. So much of what I do is robotic, and there’s something so very human about good film. Reminds me that I’m alive and being human is not only a struggle, but at times a very beautiful thing to be. Also, I sample the hell out of films! I’m currently reading “All The Pretty Horses” by Cormac McCarthy. I love his work. First thing I read from him was “The Road”, which I suggest anyone who has a few hours to spare should definitely read. I love reading his books real slow and methodically. He writes in these elaborate prose that weave in and out of fiction and poetry. Definitely for fans of dry westerns. I’m also finishing a fun biography on Frank Zappa by Barry Miles (The guy you might remember from that big famous book “HIPPIE”). An amazing and fun read, very inspirational for ANY musician who is fighting the good fight. I just finished reading “Atlas Shrugged” earlier this year, I’ve been meaning to read it for a long time, because I think it’s very ironic how easily our current situation can be related to this semi-fictional novel. I get a lot of flack for enjoying Rand’s work but I think most of her haters are coming from a place of bandwagon sentiment. None of them have read it, they just want to hate it to be against something. At least when I dislike something, I’ve taken my time to give it a fighting chance. DD XI recently was interviewed here, and he’s quickly become a favorite of mine. I saw you two hanging out through Instagram. What did you guys do? Any collaborations in the works? That would be insane. DISTAL We’re good buds and I spent some time at his house in Berlin when I was touring in Europe. It was such a fun week and unfortunately we never took the opportunity to work on music, although there is DEFINITELY some collaboration work with Embassy and XI coming out in the near future. He’s an amazing artist and friend, can’t say enough good things about that guy. DD One recent release from your label Embassy Recordings really stood out to me. Your 10th release, Sleepyhead’s My Lyf. I first heard “Nothing Changes” via Mirror State on his Sub.fm show, incredible tune. DISTAL We loved Sleepyhead’s stuff for a while now. It’s very romantic and subdued but still has this edge to it. It’s almost mysterious at times. He’s a funny character. Mite and I first heard My Lyf and were both sold on it from Day 1. He had given out ‘Nothing Changes’ online a few months prior to us signing it, but I didn’t care, I wanted more people to hear it regardless of it potentially being pirated. It’s probably my favorite song on the EP, and from what I’ve heard other peoples favorite as well. DD Switching up the mood, I have to go back to this Wheez-ie Keep Yer Chin Up release. This collection of songs is savage. The title track, with that vocal sample is huuuuge. I don’t have a question for you on this, just wanna say thank you for giving these tracks a home on your label. DISTAL Yeah man, just WAIT. Our second release with Wheez-ie will be on vinyl and it will be HUGE. DD You recently played Boiler Room. Your 8+ years of dj’ing really show here. What was it like that night? DISTAL Hah funny story about that night. I barely made it to the gig. I went the wrong way on the bus in London. Then the new bus I got on broke down. Then I couldn’t find the building and the security guy was giving me a hard time getting in. I was sweating bullets from running when I arrived, only had a few mins to down a few shots of whiskey and just step up. A big ole can of “phew” was served that night. The experience itself was an honor! It was really nice to see everyone back home tuning in and watching. Tectonic is a great family and I’m happy with them. DD Many artists shy away from politics, but you’re very comfortable weighing in on things. You’re from America, what do you think of these internet bills? I signed petitions against SOPA/PIPA, and now there’s CISPA…I’ve lost track of everything and gotten discouraged as they just won’t stop bringing these bills back. What would your advice be to people who feel disillusioned by politics? Especially with something involving the internet, which we’re so deeply connected to. DISTAL The internet is the last form of FREE and unbiased information and communication that the human race has left. If we let the government get involved, we are surely condemning our communication to a life of servant-hood to the state. The government has no right to be involved in matters of the internet. They use the excuse that they are protecting the market place from pirates.. If they really want to protect the economy they’ll back away from it and let the market place handle the market place, they’ll stop bailing out business’ with our tax dollars, and stop the federal reserve from being a wrecking ball to our currency. Not to mention how much money we waste on useless overseas spending and involving ourselves in foreign affairs. Do we not have enough to worry about here? It’s common sense, and Thomas Paine would be pretty pissed. I don’t care what people think. If you’re an intelligent adult, feel free to engage me in some good conversation about the issues. I don’t object to criticism and/or discussion. The only way we can move forward is to bring these issues into the light, be involved and debate them. To the disillusioned people I say, wake up before its too late. DD Any final words? I hope to have you back again soon. Thanks for taking time out to talk with Disco Droppings. DISTAL Shout outs to everyone who’s supported me over the years. I wouldn’t be here without your love and support. Oh, and to Obama, my career, yeah I built that. Lol see ya soon man.